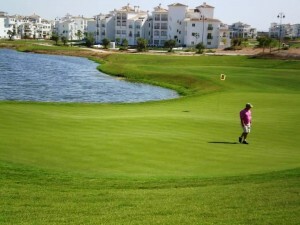 The Hacienda Riquelme Golf golf course weaves is way through and around groves of olive trees, wildflower meadows, and large lakes. 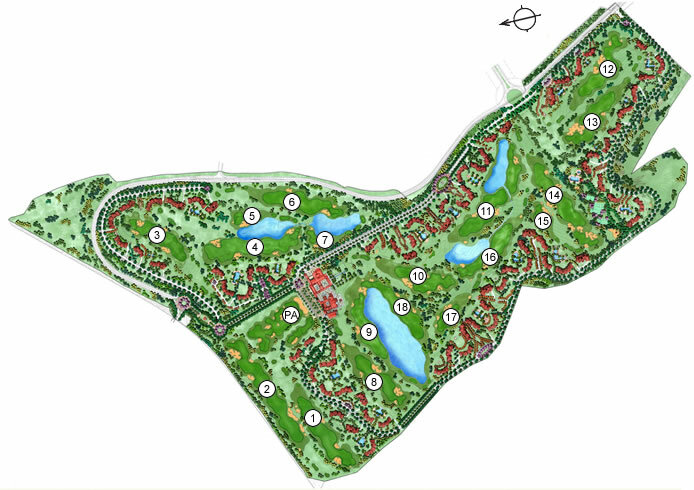 Taking advantage of the site’s larger scale, the Hacienda Riquelme Golf features wider-than-average fairways allowing players plenty of room to play while creating numerous strategic options. The unique bunkering creates a dramatic look sure to set Riquelme apart from other courses. Many of these large rugged bunkers are very deep with sand flashing in places up to three meters. The edges of the bunkers are cut in a jagged manner further adding to their distinctiveness while accenting the more rugged nature of the course.